Update Summer 2016 – This post was originally written when we were still using Sony DXC-D35 cameras in our old SD system. Since our upgrade to HD in 2015, we now are using Hitachi SK-HD1200 cameras in our Main Auditorium. The viewfinders are an LCD studio style monitor, Hitachi model HDF-700H, that mounts to the top of the camera, so we had a similar issue in that we wanted to have the studio viewfinder at the back or side of the camera. Unfortunately, the Cambracket system we used in the past on the Sony cameras would not work on the new LCD studio viewfinders. But, we found an easy solution by using a heavy duty articulating bracket by Noga. It’s model MG9038CA CineArm MG-large and it mounts to the underside of the camera plate & the other side mounts to the bottom of the studio viewfinder. 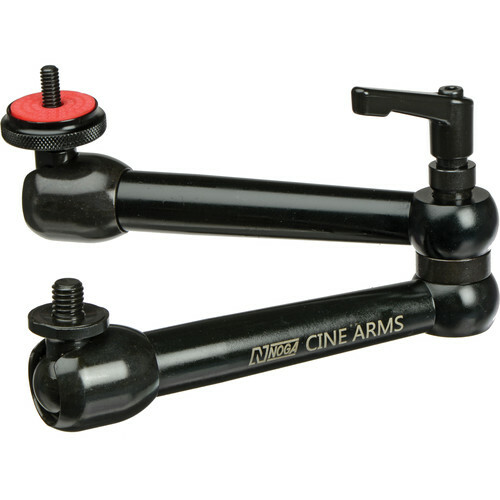 The Noga CiniArm is available at most online cine film stores.